Rittz has been very active on social media, recently connecting with Snow Tha Product and R.A. The Rugged Man to make music together. We might be able to add Jacoby Shaddix, the lead singer of Papa Roach to that list. Everyone on the Strange roster continually push the boundaries of music, meshing various genres superbly well, a feat not easily accomplished. This isn’t the first time Jacoby has given props to Strange Music. In the past, Jacoby has given shout outs to both Tech N9ne and Rittz. Would you like to hear Rittz and Jacoby Shaddix collaborate together? What’s been your favorite Strange song that mixes rock and rap? 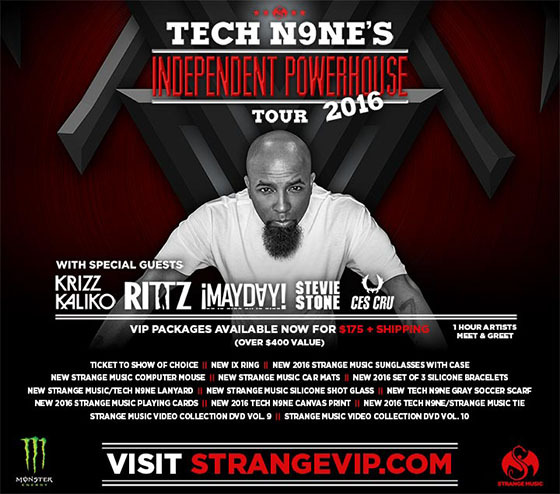 CLICK HERE TO SEE RITTZ LIVE!